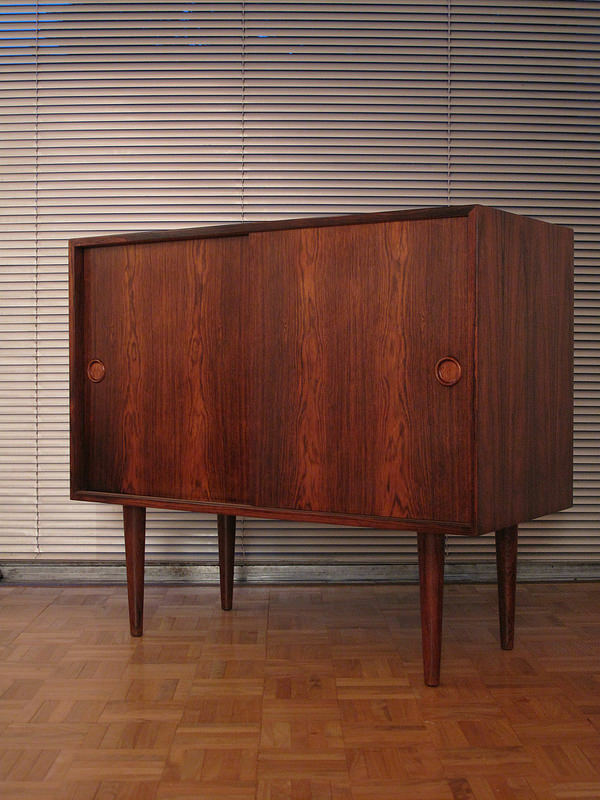 One of our favourite items to have in stock due to the elegance and simplicity of the design. 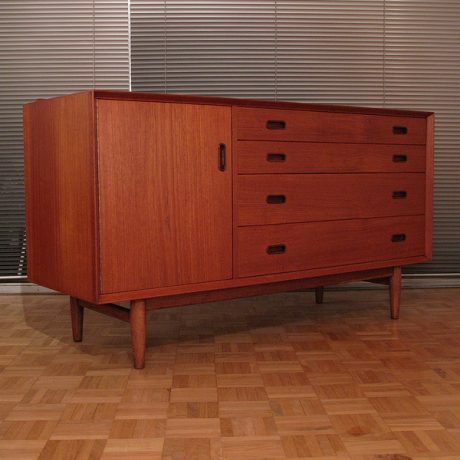 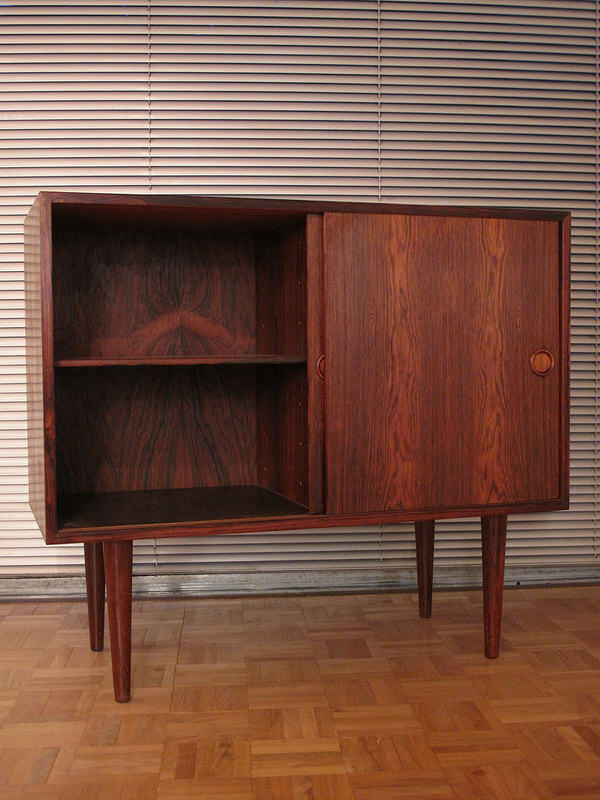 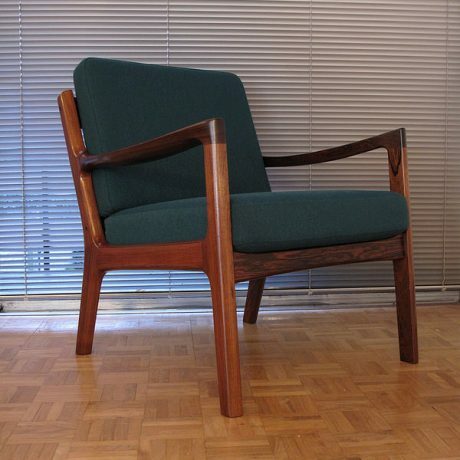 Designed by Kai Kristiansen in the early 60’s for Feldballes Mobelfabrik. 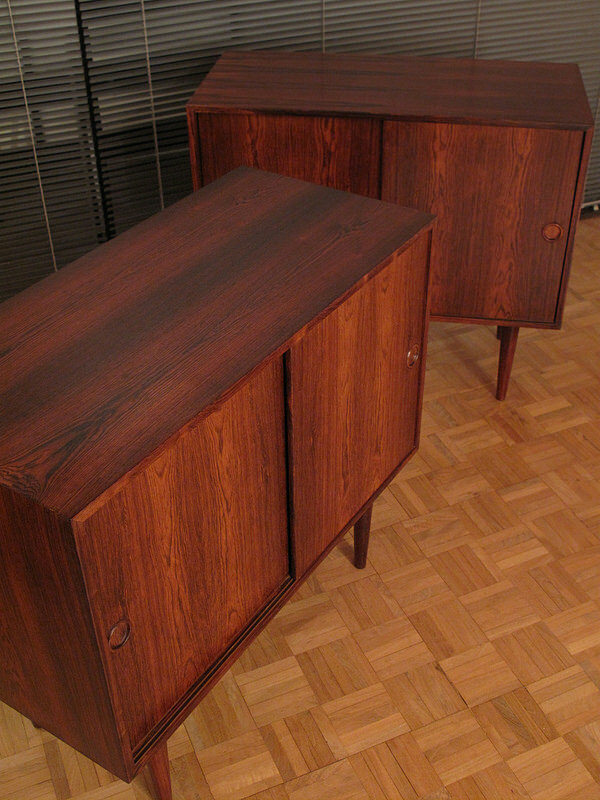 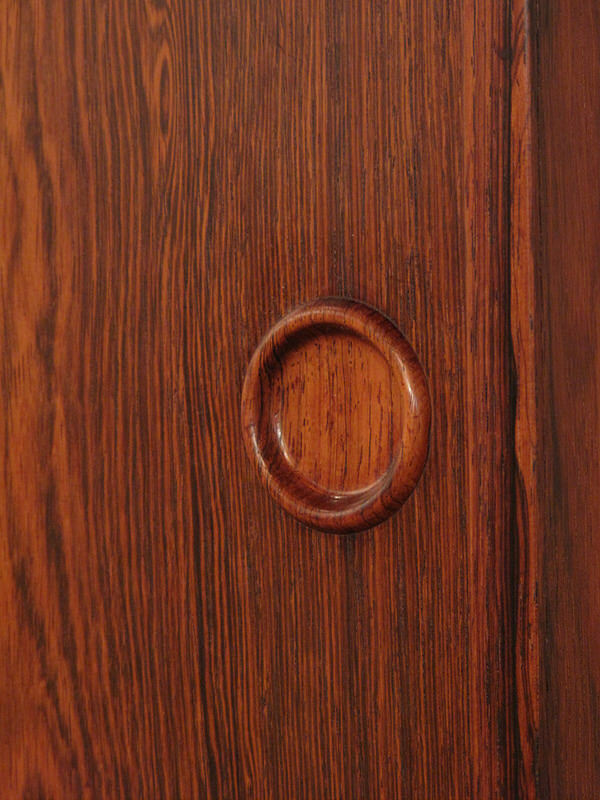 Examples finished in Brazilain rosewood are increasingly hard to find. 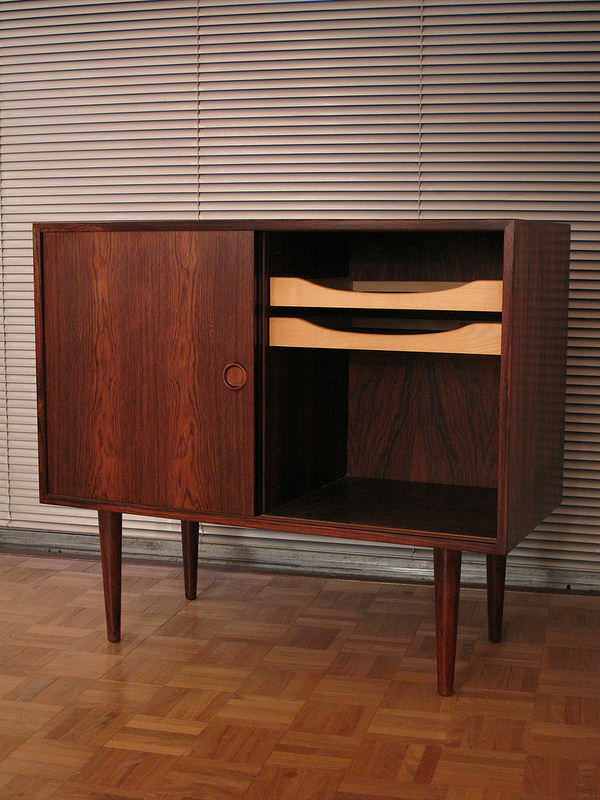 Behind the two sliding doors you will find a height adjustable shelf to the left and two felt lined drawers to the right. 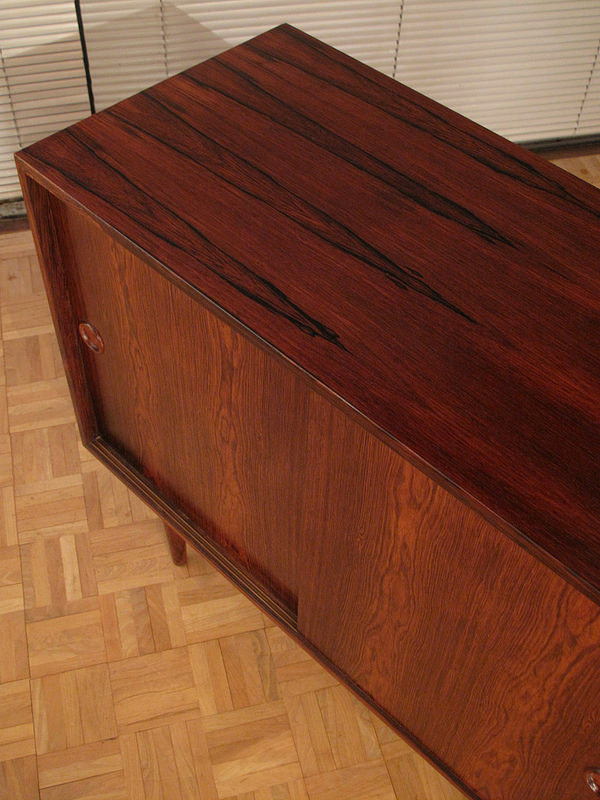 The interior of the carcass is also finished in rosewood. 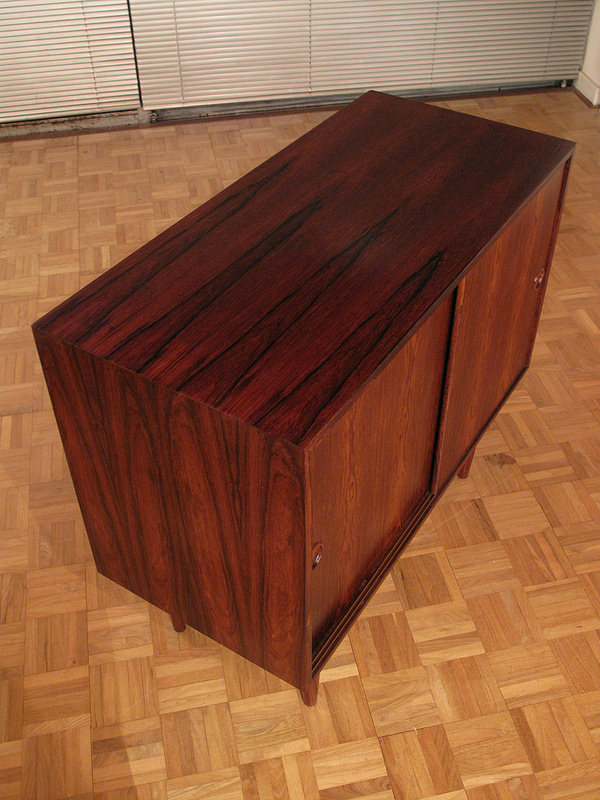 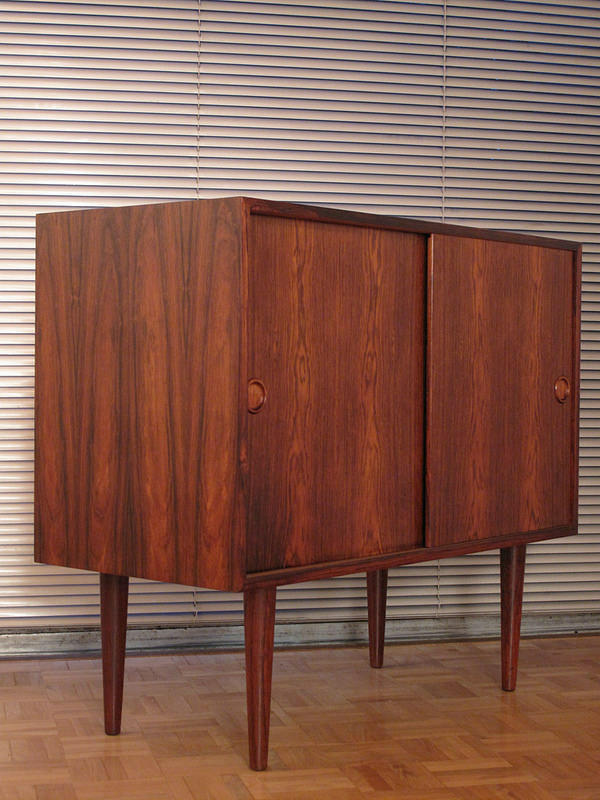 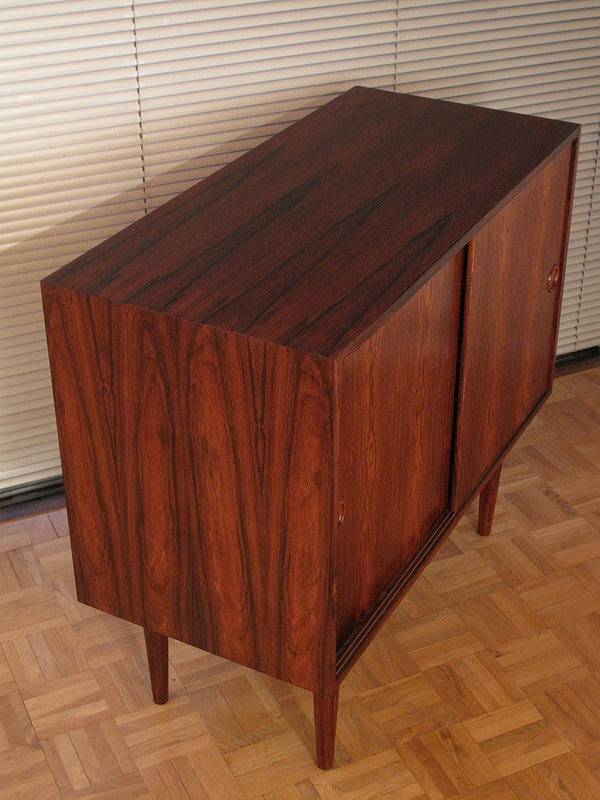 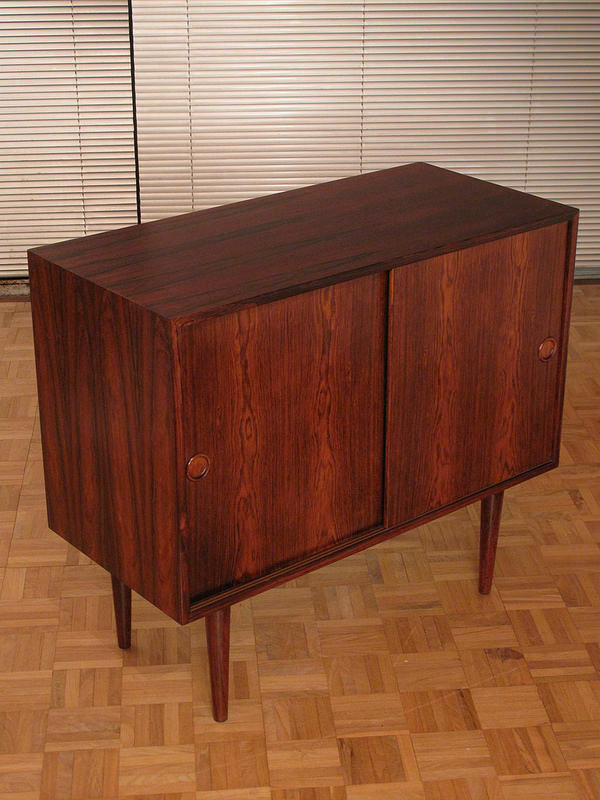 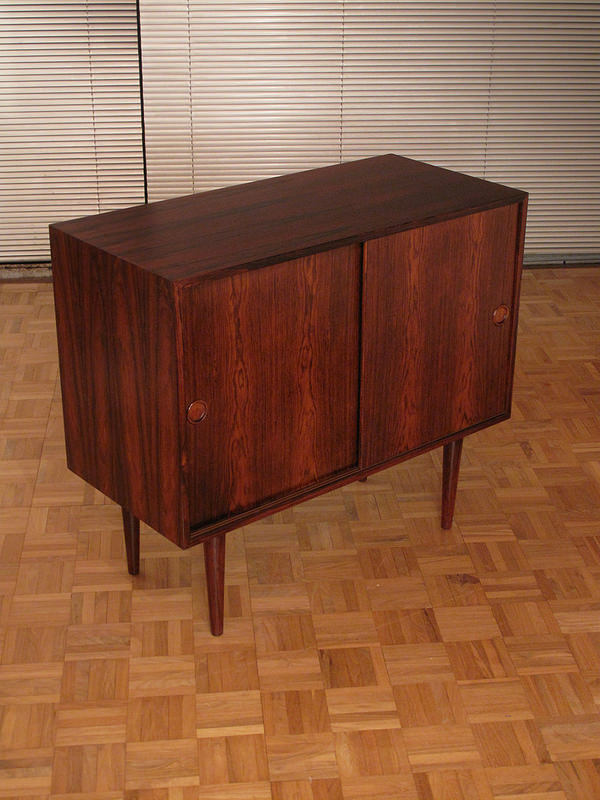 The cabinet stands on solid rosewood legs, these can be unscrewed for ease of transport. 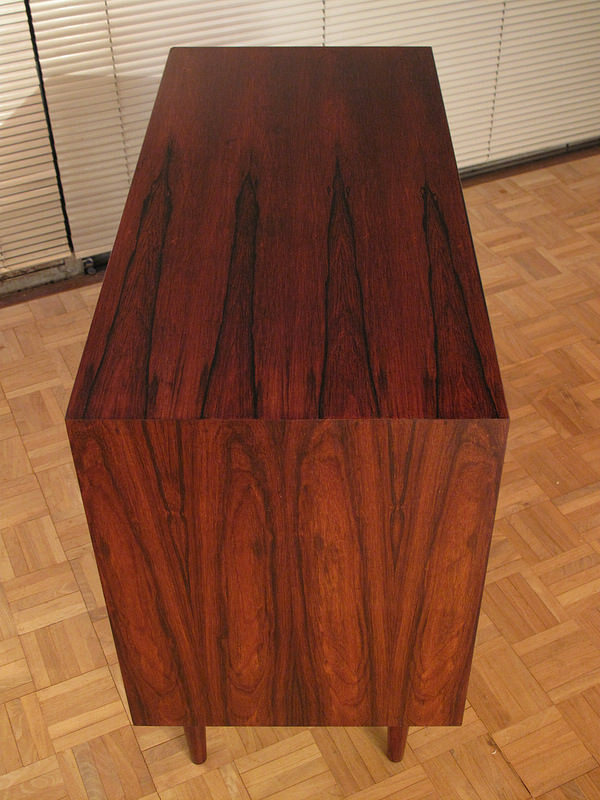 DIMENSIONS: 85.5cm Long x 76 High x 40 Wide.